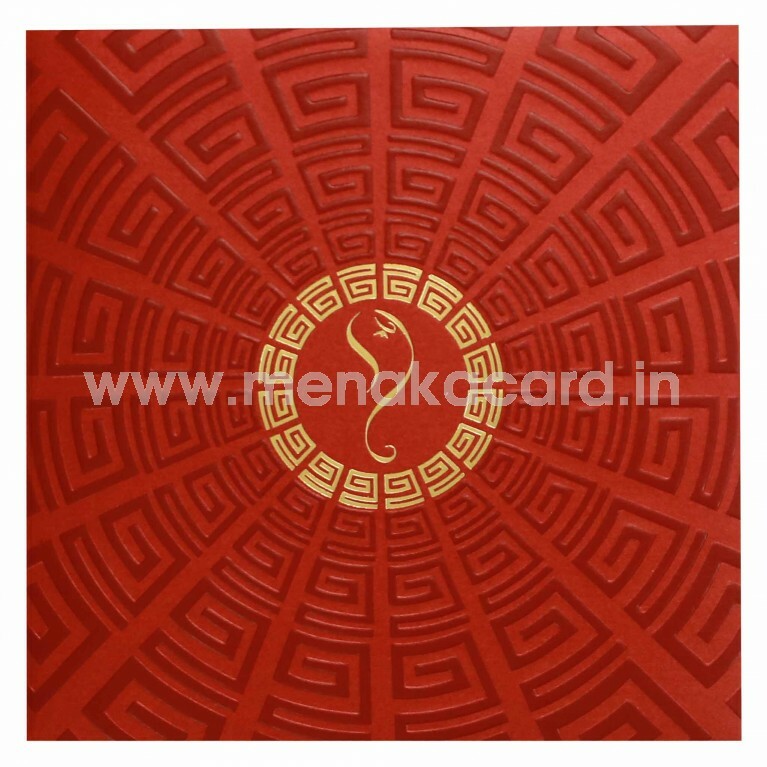 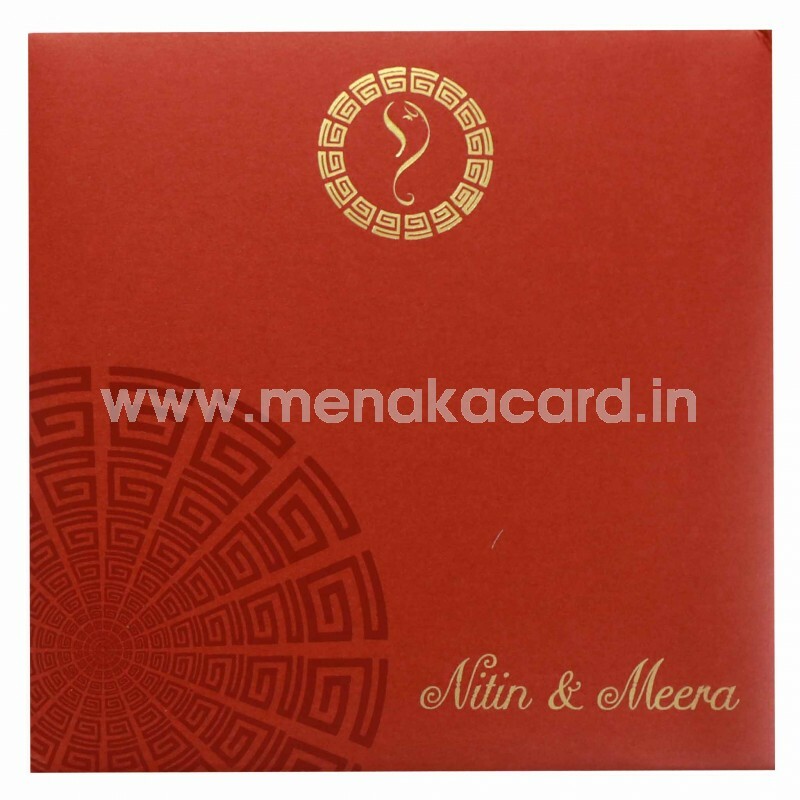 This Classy Red card is a modern take on the embossed designs, with a glossy embossed circular pattern embossed on the main flap, at the centre of which a gold-foil embossed, contemporary Ganesha logo sits. 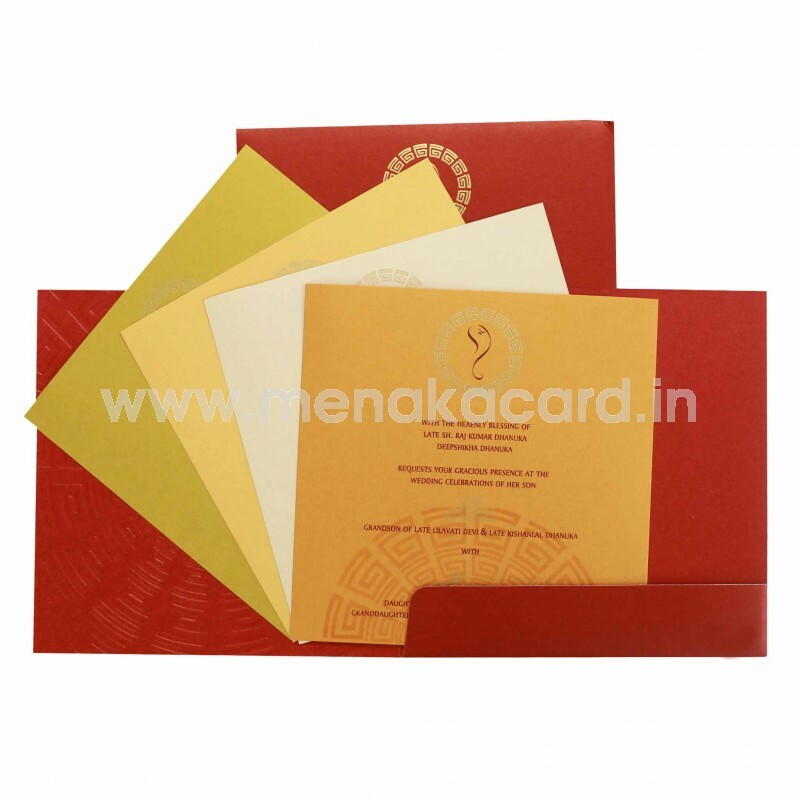 The card opens to reveal 2 default inserts with contrasting text sitting in the cardholder flap of this book folding card and envelope. This can be used for Hindu weddings, receptions engagements, Multi-faith weddings etc.